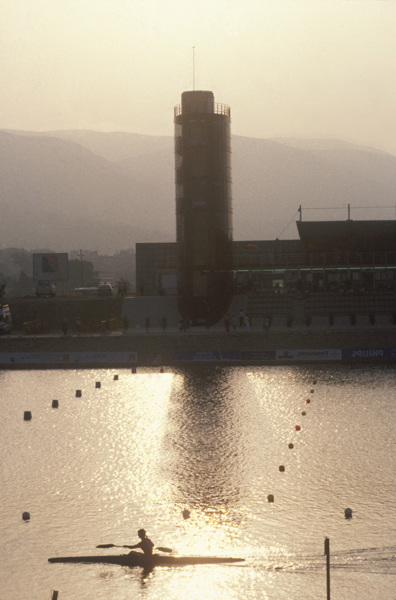 The construction of the Olympic Canal in the Castelldefels subsite began at the beginning of 1990 to accommodate the flat-water canoeing competitions during the 1992 Games. The facilities occupy 43 hectares, 15 of which correspond to the water surface, which is 1,200 m long, 120 m wide and 3.5 m deep. The water channel is surrounded by several services buildings and a large extension of garden. Castelldefels is a population located 15 km southeast of Barcelona, on the coast, the town borders the Garraf massif. The origin of this city dates back to the 10th century and arises around its Castle and the Benedictine monastery of Santa Maria. Thanks to its beaches, local economy is based on tourism. 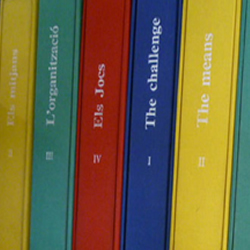 During the Barcelona’92 Games the city hosted the flat-water canoeing competitions. The slalom canoeing competitions took place in La Seu d’Urgell. The sports tradition in Castelldefels was not important until immediately before the Olympic Games when the Olympic Canal was built.